Even with a professionally designed, constructed and maintained structure, wear and tear are inevitable. Besides, there are several structural problems that can also be experienced over time depending on how it is used, environmental and weather conditions among other factors. Although some problems may look simple, it should be noted that failure to fix them properly and on time could have dire consequences on the integrity of the structure. At Waterproofing Singapore, we specialize in various repair services for both residential, industrial, and commercial property. From our company, you can always get the best repair solutions for addressing all kinds of minor and major structural problems. We have a better understanding of common and complex structural problems and, this has enabled us to always deliver customized repair solutions for homes as well as commercial buildings across Singapore. Roofs can be damaged by several elements including, leaks, rust, heavy objects falling from above among others. Whenever you are faced with these or any other problem that threatens the appeal and functionality of your roof, simply talk to us for an ideal solution. We offer various roof services to ensure that you are always able to get just the right remedies to every hitch experienced on this part of the structure. Roof Repair – We have the expertise to effectively perform a wide range of roof repairs for all kinds of problems including, leaks and dents. Despite the condition of the roof and your needs, we can always deliver tailor-made roof repair solutions to revive its appeal and strength. Roof Coating – Our roof coating services are the best way to cushioning your roof from harsh environmental and weather impacts. We offer professional and unique roof coating approaches that will no doubt preserve the roof in proper condition for the longest period of time. Roof Replacement – In case your roof is damaged beyond repair, we can always provide the best roof replacement so you can continue using the structure without any worries. Even if you are changing the plan for some or all roofing components, we can still deliver custom roof replacement solutions. Roof Tile Repair – Roof tiles are usually very challenging to fix but, you no longer have to go through the hassles anymore. 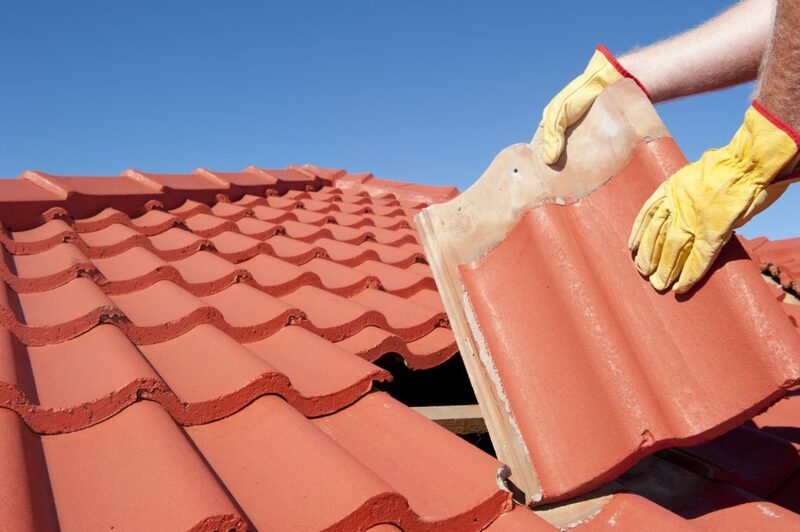 Our company has a team of experts with many years’ experience on the job to offer the best roof tile repair for all kinds of residential and business property. There are numerous problems that can occur on concrete walls, floors as well as foundations. Cracks are the most common hitches experienced in concrete, which can cause quick wear and tear, compromising the credibility of the entire structure. Whenever the signs of cracks or disintegration are spotted, it is always advisable that they are immediately fixed by an expert. Instead of struggling with ineffective DIY approaches, simply hire our concrete repair services. We have a better understanding of the recommended and effective concrete repair solutions that will not only revive the looks of the concrete but, also its strength. We integrate various tested and proven concrete repair technologies and products to ensure that you are never faced with cracks or other forms of concrete damage. Our concrete repair services are offered by professionals with a better experience on the job for the ultimate solutions. Gaps between tiles and indentions on the walls and floors can contribute structural damage in many ways. If the gaps between tiles are not properly filled up, it is very easy for them to be destroyed by people using the property. Besides, indentions also makes the surfaces to become rough, which could even cause accidents. On the other hand, these open gaps can also hide dirt, making the task of cleaning very hard. The best way to avoiding all these is grouting, which we can provide. Our grouting services can help you to effectively seal off all the gaps between tiles and refine rough surfaces. We use a combination of quality grouting materials and techniques to bring out a smooth finish on your floors and walls. By hiring our grouting services, you will also be able to effortlessly prevent the intrusion of water and accumulation of moisture in the building. RC roofs have gained significant popularity over the years to become one of the key roofing systems used in residential and commercial buildings today. This is mainly because of their light weight and durability. Besides, they can also withstand harsh weather conditions like, intense heat from the sun, extremely low temperatures. However, installing and conducting repairs on RC roofs is complex and, requires someone who truly understands the procedures. Compared to other standard roofs, RC roofs do not come cheap, which means even the slightest mistakes in their installation and repair can be very costly. For peace of mind, we offer professional RC roof, gutter and slab installation as well as repair solutions. We have a team of trained RC roof specialists and quality tools to ensure that the installation and repair is performed to the best standards. We can help you keep your RC roof, gutter and slab in proper shape for the longest time. Our company staff is made up of experts with many years’ experience in all the repair services outlined above. Therefore, there is always no doubt all your needs will be effectively met. In all repair procedures, we always select superior quality materials that are safe, affordable and long lasting for the best results. We always strive to deliver repair services at the convenience of every customer. And, all our repair solutions can also be tailored to your budget. For highly professional, reliable and affordable repair services Singapore, do not hesitate to talk to us.